Our team at Conex Recycling Corporation is dedicated to securing the future of our planet by providing environment-friendly solutions to waste management. When you choose our recycling services, you are choosing a cleaner and better future for your family. Learn more about how you can help the environment through paper, metal, and plastic recycling. What recyclable materials do you accept? Conex operates in multiple markets, and each is slightly different. In general we accept; newspapers, office paper, magazines, phone books, clean paper mail, most types of plastics (types 1-7; water bottles, milk jugs, etc. ), aluminum, soup cans, and tin metal. We do NOT accept: polystyrene or styrofoam, egg cartons, styrofoam food trays, plastic grocery bags, rubber gloves, light bulbs, drinkware, motor oil containers, pesticide containers, paint cans, electronic devices or clothing. Do we need to separate materials? No, clients do not have to separate materials. We provide single-stream recycling. How big are the containers, and what do they look like? 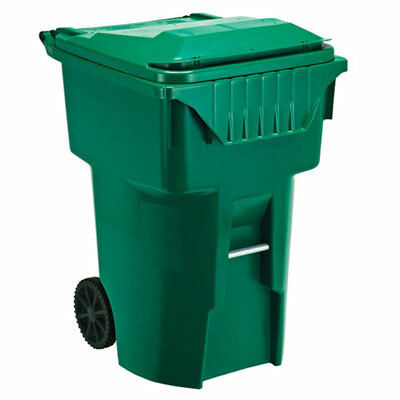 We offer two container sizes: 95-gallon containers and 3-yard bins. 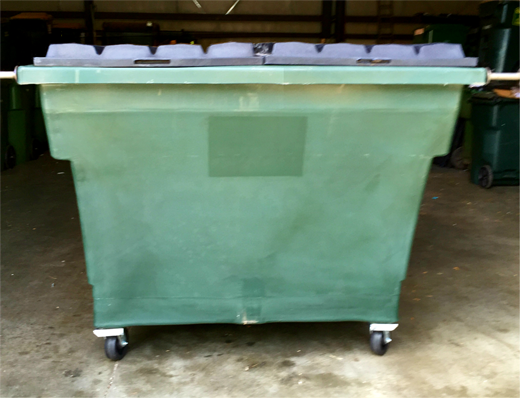 The dimensions of the 95-gallon bin are: 46" height x 29" width x 33" depth. Conex Recycling operates on a monthly basis. Our commitment to customer satisfaction allows us to keep clients without a contract. We want the program to work for you. If the program is not right for your property, please provide us with a 30-day notice that you would like to cancel and we will pick up our containers. We are ready to enter into contractual agreements when requested. We provide service pickups per month for a small, predictable fee, depending on your needs. Prices vary according to the number of containers and frequency of collection. This fee is typically made up for in the overall cost savings associated with the reduction in waste services. Less garbage, lower garbage bills, and more savings are enjoyed by your company. How many containers does my company or property need? The number of containers you need depends on the population density of each location. We use a ratio formula to determine the amount of containers needed and recommended on-site locations. We provide a free on-site survey that will determine your needs in an attempt to provide the very best service for you. How often do you empty containers? Every scenario is different and depends on the participation of the parties involved. We provide customers with a scheduled pickup day. We will evaluate and adjust the schedule for each property as needed and provide timely service, usually within 24 hours, in case of high usage overflow. This is included in the monthly service. Can my company save money by recycling? With the service that we provide, every pound that goes into our containers is a pound that does not go into your dumpsters or compactors. Companies typically pay a fee for the removal or “pulling” of waste containers, and a fee for the amount of tons that must be disposed of. Reducing the weight in waste reduces the amount you pay for waste disposal and extra charges, including fuel, delivery surcharges, and pull fees. We provide the customer with a quarterly report, breaking down the material recycled by weight. This allows clients to track their positive influence on the environment, and further negotiate their waste contract. What happens if my containers are full and overflow? Simply contact our office and your containers will be emptied on the next business day. If this continues to occur, we can adjust the service by adding more containers or increasing the frequency of pickups. When you want to make sure your recyclable materials are handled properly and efficiently, depend on us. Recycling is not just our job, it is our specialty. No other recycling company understands the recycling process like we do. Let us help you protect the environment. Contact us for more information on our recycling services.